This was also voted No.55 on 1999’s Kinema Jumpo Poll of Top 100 Japanese Films of All Time. 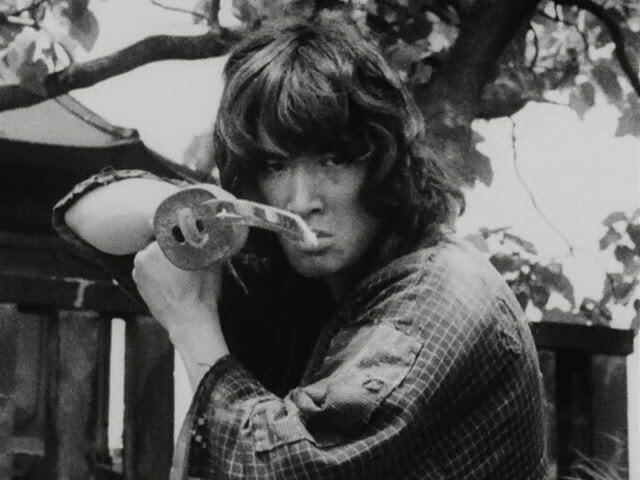 It’s a samurai film but its style is rather different from those Toei & Daiei jidaigeki in 50s & 60s (probably not surprising as an ATG production), It has a non-heroic (or at least, unorthodoxy) portrait of the protagonist: Ryoma, at times even a parody, with the wry humor everywhere in the film. 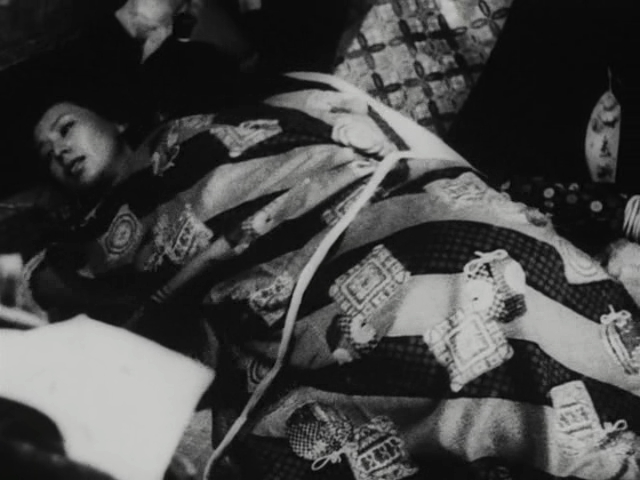 But it also looks a bit like a documentary, as the film is very grainy and the cinematographer is Masaki Tamura, who’s responsible for the look of many Shinsuke Ogawa & later, Kiyoshi Kurosawa’s films. 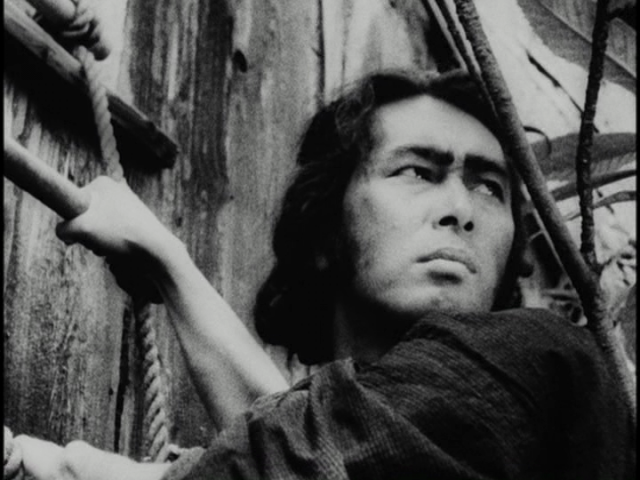 Kuroki Kazuo was one of the leadoing filmmakers of the 60s and 70s independent film movement centered on the Art Theatre Guild (ATG). The Assassination of Ryoma shows the last three days of Sakamoto Ryoma, a hero of Meiji Restoration, who was assassinated a year before the Restoration was achieved. Like Yamanaka, Kuroki rejects showing Ryoma only as a hero. 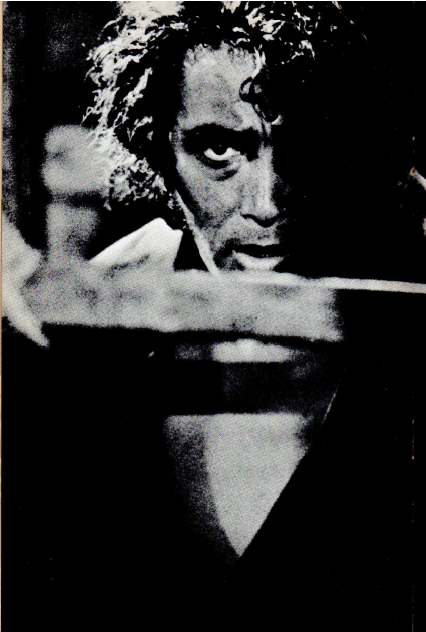 Rather, he focuses on anonymous people as well as on the carnivalesque mass events called “eijanaika”, in which commoners would rampage through an increasingly restive Edo (Tokyo) chanting “why not?” The film is one of many attempts in the period to think through the first one hundred years of Modern Japan, which came into being after Ryoma was killed. 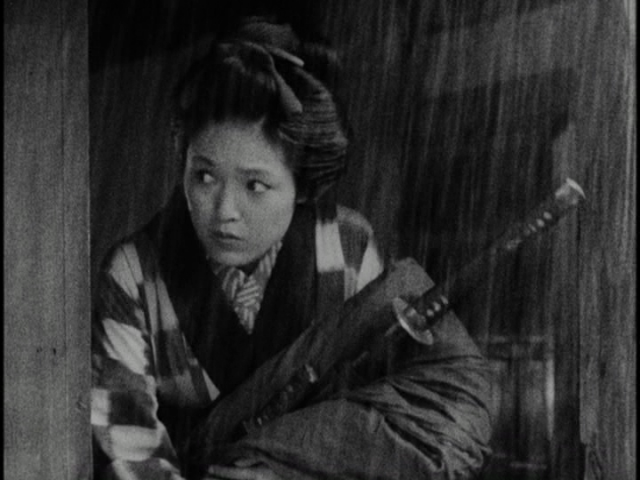 Kuroki’s discontinuous modernist style is exhilarating to watch, and helps connect Ryoma’s tragic end to the “Asama mountain lodge” incident of 1972, in which a radical political sect involved in a series of murders was caught in a standoff with the police. Perhaps we can see in the film’s loose and fragmentary form the confusion of radical artists, caught in the transformation from the political activism in the 1960s to the consumerism in the 1980s.